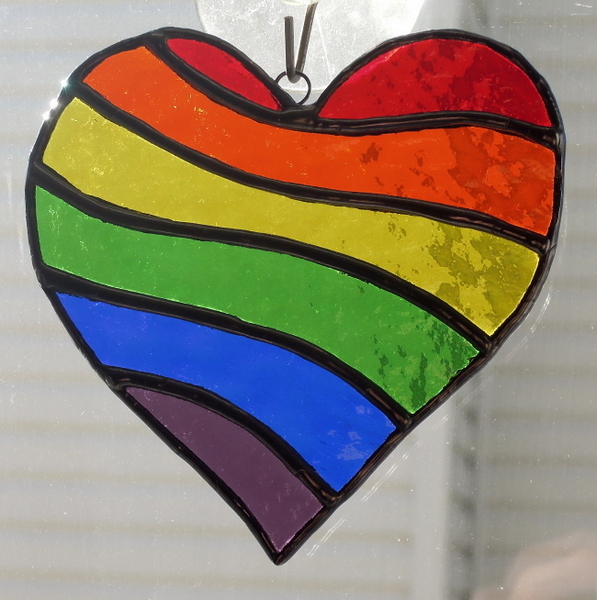 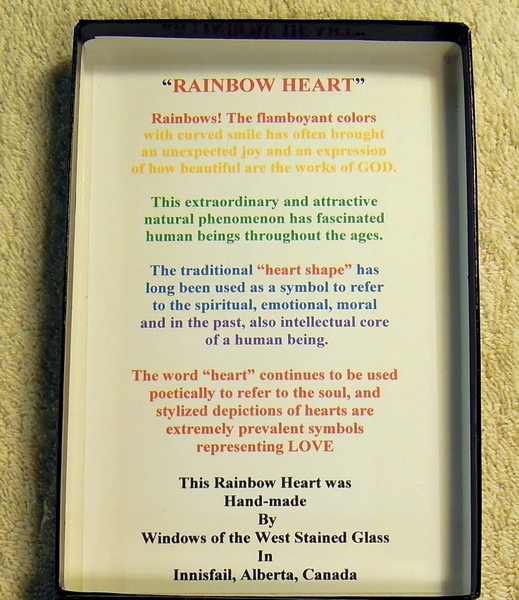 This is our latest addition to our boxed items which now include this Rainbow Heart along with the Great Horned Owl, Canada’s Maple Leaf and the Alberta’s Wild Rose. 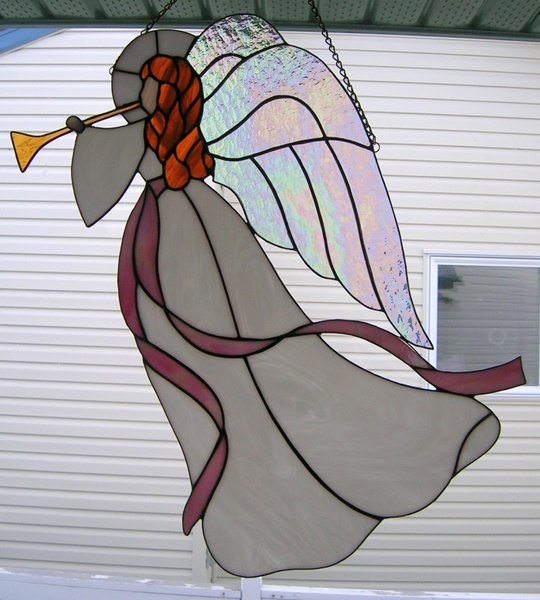 We made this in 2006 using a neat piece of Bullseye Art Glass, combined with Spectrum Waterglass and one of their pinks, along with the bevel. 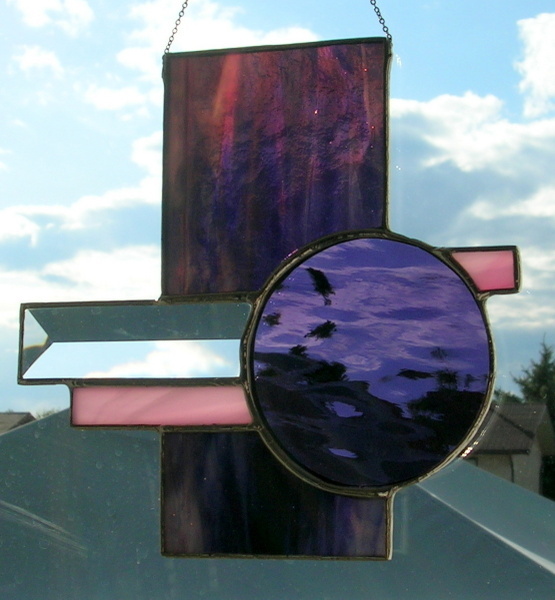 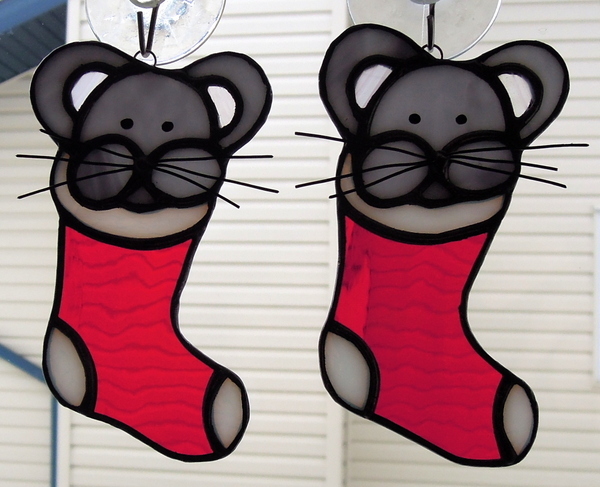 It measures approximately 6 x 6 inches. 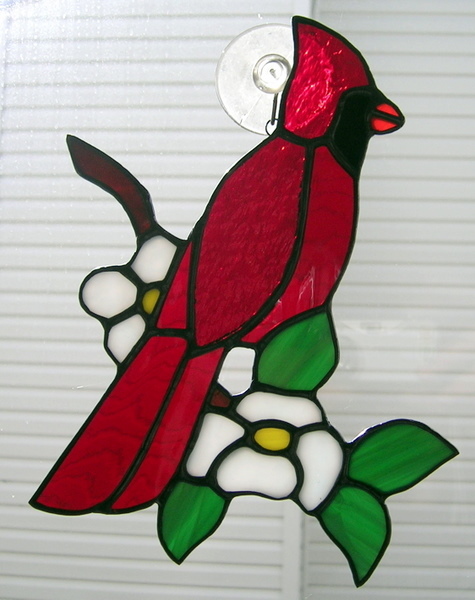 About 6 – 7 years ago we made this Virginia Cardinal which is the official bird of the State of Virginia and it measures approximately 9 x 7 inches.